Yes, you've seen this before. And pretty recently, too! 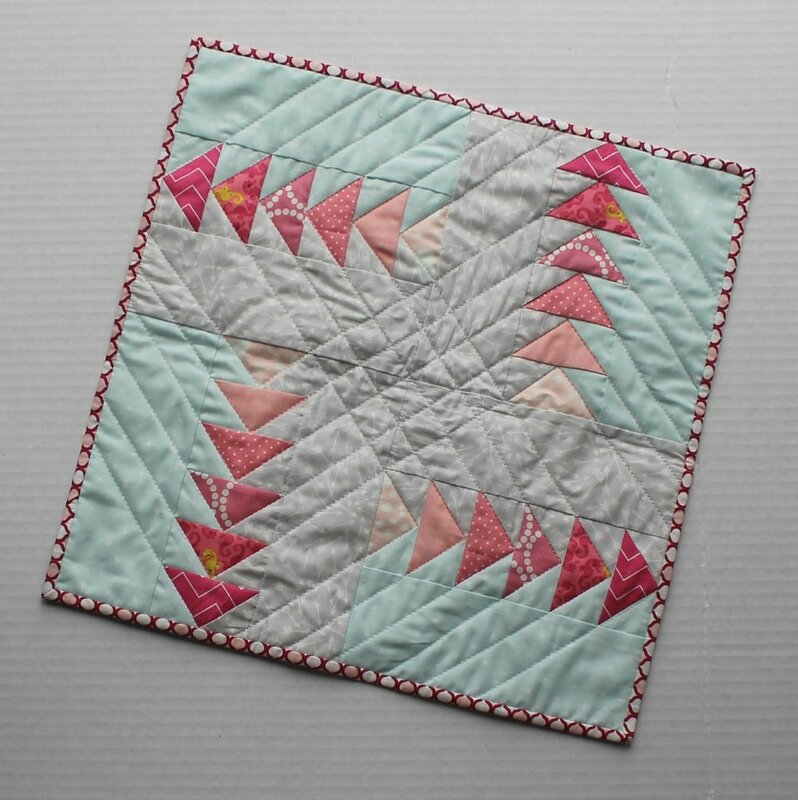 I made a flying geese mini quilt for my pink swap partner on Instagram, and while I was cutting out hers, I cut out my own as well. And then I actually got it together in a timely fashion! I know, I'm amazed, too. But I'm also determined to clear out the bin of mini projects, because it's nice to have a fast finish. And nice just to not have as many projects laying around. It's almost exactly the same, except a different Tula Pink binding. 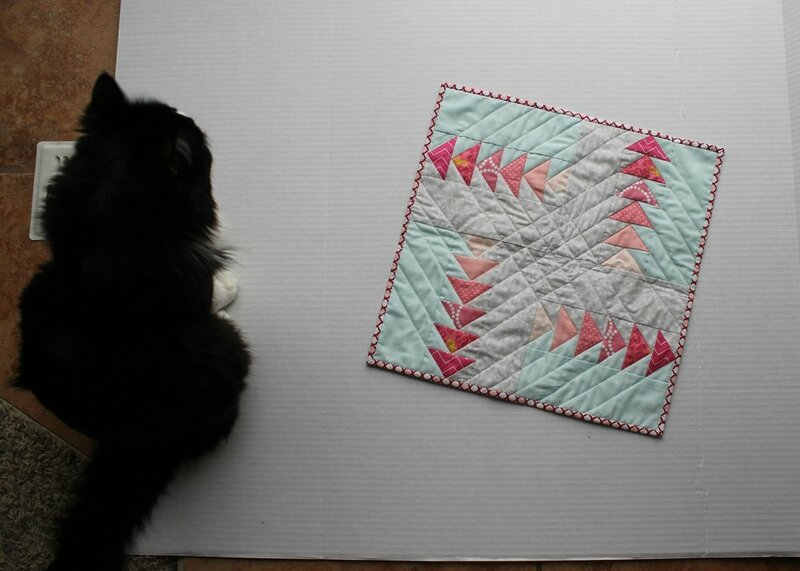 I debated a different quilting scheme, but nothing else seemed right, so I went with what I knew worked. It's based on this design, with instructions to do it "my way" on my previous post. I'm trying to take better pictures, with a better background and being mindful of my light and shadows. However, CC doesn't care much. The grey background is Hawthorne Threads’ in-house arrows collection. I don't know what the aqua is - not quite enough selvage on my scrap piece. The pinks are Lizzy House butterflies, Sandy Gervais leftover charm, unknown polka dots, Lizzy House pearl bracelets, Heather Ross Mendocino, unknown chevron. It's 15" square and ready to go up on my wall!